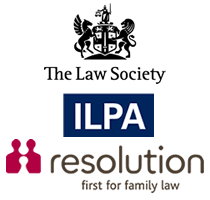 Earlier this year, the Supreme Court ruled that the minimum income threshold of £18,600 to bring into Britain a spouse from outside of the EU were legal in a case called MM (Lebanon) & Others v the Secretary for the Home Department  UKSC10. The minimum income threshold is accepted in principle, however consideration must be given to the best interests of the children, a matter to be properly taken into account in the balancing and decision making process. The ruling, made back in February, has prompted some changes to be made to the Minimum Income Rules. The Supreme Court recognised that thousands of people had faced hardship because of the rules and that there was a lack of focus on the impact this would have on children. 1. Can the Minimum Income Threshold be met by other sources of income? However, it is up to you to show that these income streams are genuine and that evidence has been given to show that your partner is financially stable, that the stability can continue for the time they’ve applied to stay and that your relationship with them will not change or affect your financial stability in the future. You must show that any employment or self-employment will start within 3 months of your partner’s arrival or of their leave to remain. You should make sure all letters to evidence employment should be given on headed paper or you should provide documents to show that your partner can provide goods or services for self-employment when they are granted leave to remain. In addition, the new Minimum Income Rules can now be applied to the route to settlement. If your partner is on a 10-year route to settlement, but you meet the minimum income rules, he or she could move to the 5-year route to settlement instead. Any children would be granted leave to remain for the same period as their parent, whether 5-year or 10-year and regardless of whether it’s in their best interests to be given leave for a shorter duration. You can access public funds in two circumstances – the first is if you can show you are destitute (defined in section 95 of the Immigration and Asylum Act 1999) or if there are really good reasons about the welfare of a child of a parent on a very low income. It’s slightly contradictory though, as it will be difficult to meet the Minimum Income Rules with alternative sources of income whilst also being destitute or on a very low income. At Advantage Solicitors, we provide skilled advice on the steps you can take to regularise our Immigration status in the UK. We can offer you an initial consultation to provide preliminary guidance to enable you to decide on the best way forward. If you would like to discuss the above in more detail, please get in touch with our friendly Law Team on 02088071676, or click here to contact us.